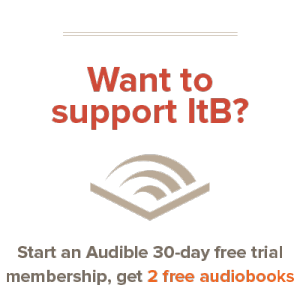 I have come to really look forward to the biographies in the Generals series by Thomas Nelson for their excellent writing quality and interesting subject material on generals in the United States’ past. 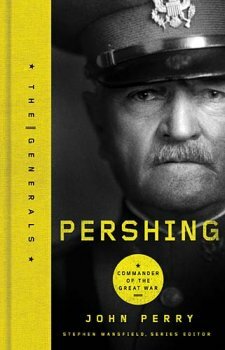 This book tells of John Joseph Pershing, General of the Armies during World War I. Yet this amazing figure has been overshadowed by other generals in history, despite his contributions to our nation. John Pershing was the leader of the United States forces during World War I, but his war experience led back far further. He was involved in the Spanish-American war, as governor of the Philippines, and in the American West. Especially interesting was Pershing’s focus on equality. Throughout his time in the Philippines, Pershing treated the Moro people with respect, going against the years and years of Spanish oppression. Throughout his military career, Pershing continued this focus on equality in dealing with African Americans, Native Americans, Mexicans, Hispanics, and the Germans. In a time when many of these people were treated little better than animals, this focus is especially amazing. Pershing’s greatest contribution to our army was certainly his organization and preparedness. When World War I broke out, these qualities made him the logical choice to lead the American forces. Within a year, Pershing had whipped up a trained, disciplined, and prepared army of one million men out of a pre-war standing army of 25,000. This amazing feat was continued when the American forces proved themselves beyond a doubt brave and equal in battle to the French and British forces, who insisted on ‘amalgamation’ of the American forces. Perhaps the most interesting aspect of Pershing’s life was his confusing personal life. Despite his very inflexible military demeanor and his emphasis on the rules, Pershing was actually a very emotional and loving person. The death of his wife and three daughters in a terrible house fire scarred Pershing for life, and until his death he never really recovered; hopping around various women and never remarrying almost until his death. But his ten years of marriage showed Pershing to be a loving family man; and he continued to love and cherish his son, Warren, who survived the fire. Overall, Pershing’s life is extremely interesting; and his fading from the public eye with time is very difficult to fathom. Truly his contributions to the United States should not be soon forgotten; and this biography helps us to remember these. Again, this biography is written by John Perry, who has a history of excellent biography after his Lee work. I highly recommend this book to learn a little bit more about a great man in American history that is worth learning about. Out of all the “Generals” titles you’ve read, which would you say is your favorite? Robert E. Lee, definitely. John Perry also wrote that title. After that, it would be hard between Pershing and Washington. Sherman would be next, then MacArthur (that was the worst of the series thus far). I believe they’ve also published one on Patton but I haven’t read/don’t own that one.